The XF must have seen my posts stating I would replace it with an XJL-SS (or even Stinger) because it stepped up its game tremendously! The driving has become sharper than a toothbrush in a prison riot and the performance is equally engaging. I’d know, I am a Libra. 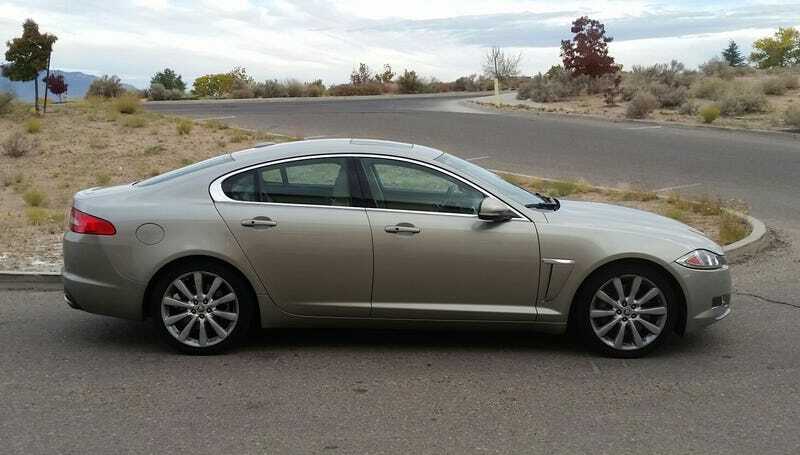 The XF has always been a legitimate sports sedan but it pretends to be a luxury sedan first and that throws off initial assessments since it’s not leading with its good side. Today was something truly special because it convinced me to change my perspective of the car. In this new light this particular spec of the XF is exceptional and hard not to fall in love with. *Give me more time to check consistency, then Ill write a verdict because I got steady shivers today from how balanced and aggressive yet effortless the performance was. First time in 1.5 years of ownership. Usually when I dedicate an hour to opening it up and pouring over any underlying botherances the XF will deliver a very solid and refreshing driving experience. However, today I found out that there is something delightfully unique in this car which is muffled and screaming to be amplified. The natural 5.0 V8 is rated at 385 hp and 380 lb-ft of torque (though Jaguar never seems to convert between PS and hp, they just swap the units but keep the higher PS number). That said, it’s the character of this powertrain that’s notable because there is nothing like performance that over-delivers. Im sensing a change of plans coming. British cars are best cars.